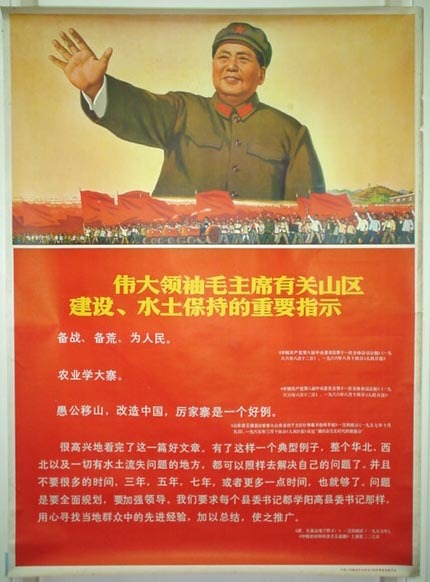 "Thousand Years to Marxism,Leninism and Mao Tse-dong's Thoughts"
"Important Instructions construction,water and land preservation in Rual Areas Given by Chairman Mao"
"Hurry to Victory of the Proletariat Revolutionary Lineof Chairman Mao"
"35th Anniversary of mao's Speech presented at the "Yan On Literature and Arts Forum"
"In Celebration of Publishing the 5th Book of Mao's Selected Works"
Published Detail: 1971 by Shaanxi People Publishing Co.
"The 4 Sea's Seething, the Sky Billowing, the 5 Contients Shaking and the Wind Roaring"
conition: fair with stains and a few repairs at the edges close to the red title characters. 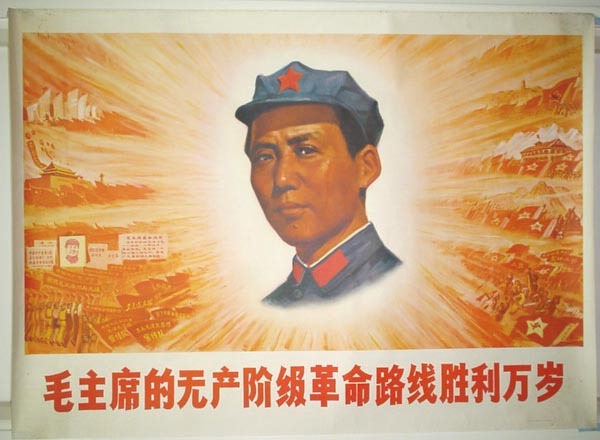 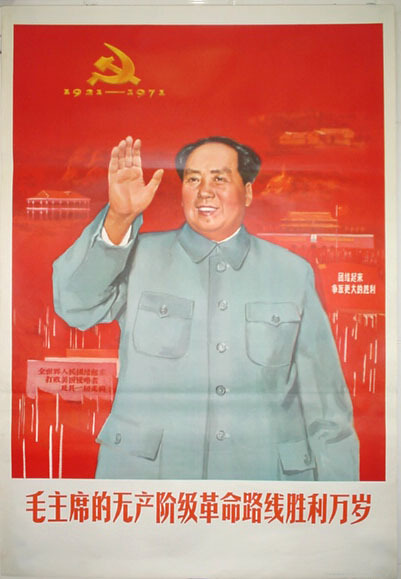 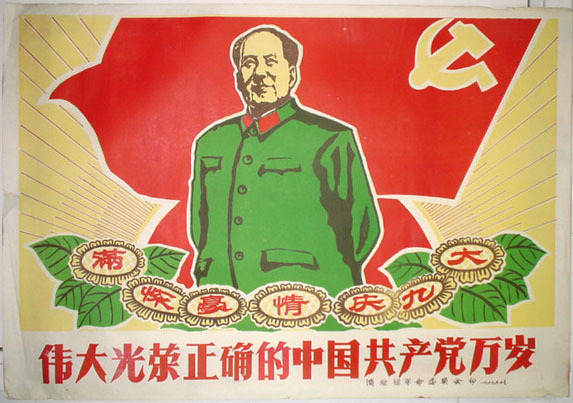 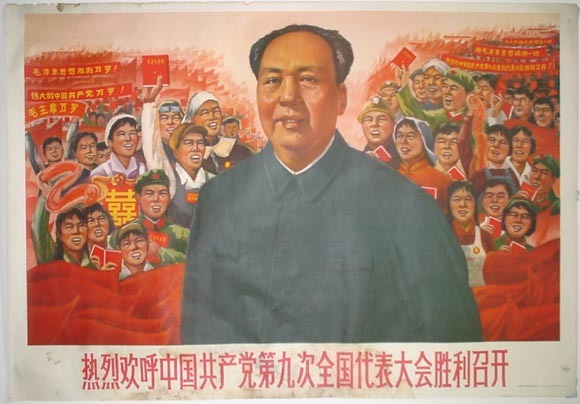 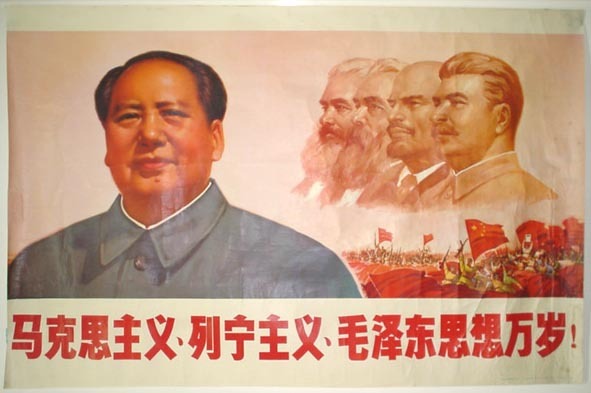 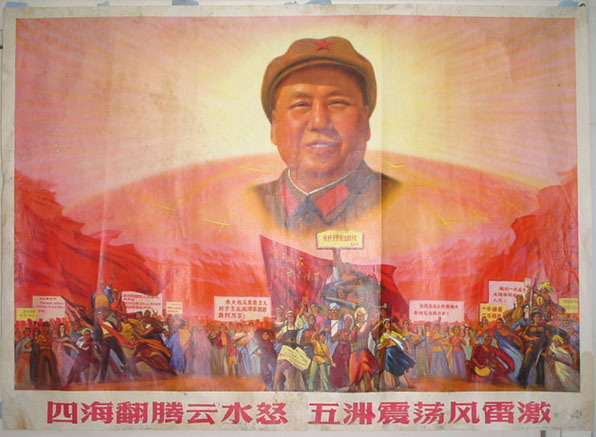 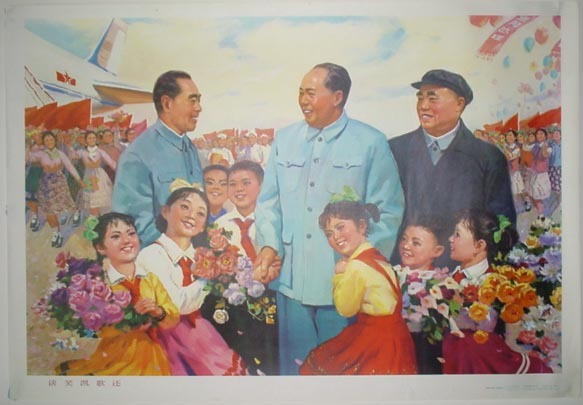 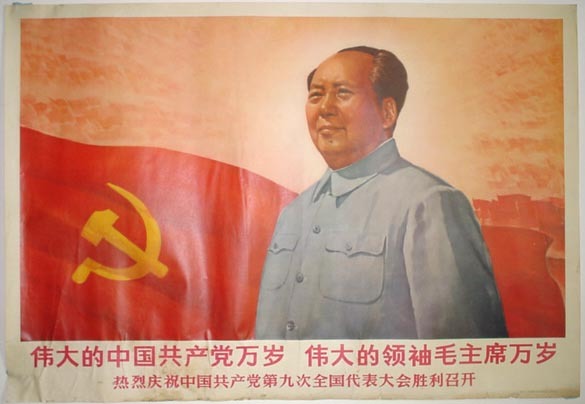 Beautifully designed with a rarely seen world behind Chairman Mao. 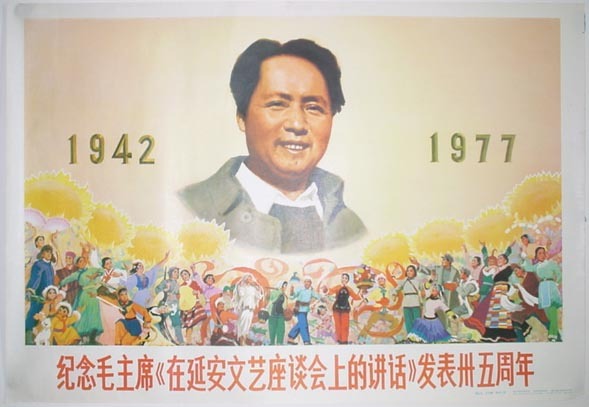 "In Celebration of the Successful Opening of the 9th Peoples' Congress"